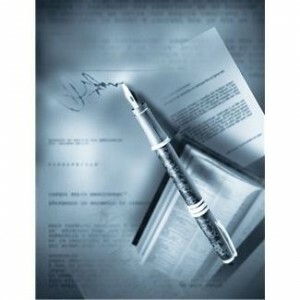 Arizona Legal, PLLC offers legal forms bundled with legal advice for a fixed and reasonable price. We provide Arizona state-specific forms in areas such as estate planning, small business, and family law actions. Accessing Online Legal Services is Easy! Here’s how it works: Arizona Legal Forms’ online platform gives you 24/7 real-time access to your secure client account where you can view your files, monitor updates, status changes, and charges. There are no hidden fees or costs. Have it done by an Attorney for you (Documents completed for you). Arizona Legal Forms’ online services require you to register to gain access to your own MyLegalAffairs account. It’s as easy as that! If you would like to have legal guidance when completing a document, or would like it to be done for you please contact me via telephone, email, or Skype. We help Arizona individuals and small businesses deal with their legal problems without spending thousands of dollars in legal fees, or resorting to non-lawyer alternatives. We offer Arizona legal forms bundled with legal advice for a fixed fee. To purchase a legal form bundled with legal advice, you start by completing an online questionnaire. You can start your questionnaire for free. You must be a resident of, or authorized to do business in, the State of Arizona in order to use the legal services offered by this web site. The hiring of a lawyer is an important decision that should not be based solely upon advertisements. Before you decide, please view the about me page or ask me to provide you with information about my qualifications and experience. The information presented at this site should not be construed to be neither formal legal advice nor the formation of a lawyer/client relationship. It is the policy of Arizona Legal Forms, PLLC that all clients of the firm must sign a letter physically or electronically, also signed by a representative of the firm, stating the terms of the firm's engagement to provide legal services. In the absence of a letter signed by you and a representative of the firm, and the payment of any required retainer, you should not expect that the firm is representing you, or undertaking any obligation to act or refrain from acting on your behalf.